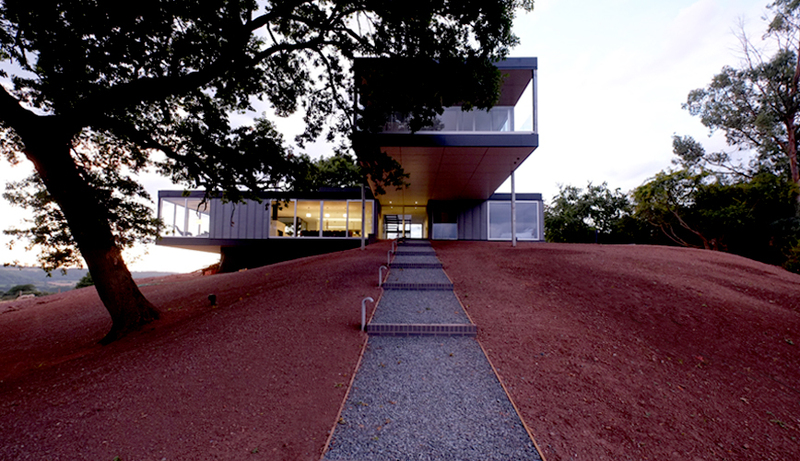 The unique setting of Redhill provided an opportunity to explore the juxtaposition of natural rolling hills and a strong linear built form. The buildings natural environment and it’s location, perched high on a hilltop guided the design and the plan form. The master bedroom is set within the large cantilever above the main entrance. This elevated position and the deep external terrace to the front of the bedroom, set within the canopy of the large oak trees, provides privacy to this space which is primarily glazed on three sides, allowing sunlight in to the room from daybreak and offering dramatic views across the landscape. As the sun tracks around the building during the day the kitchen and dining room benefit from shading from mature oak trees on the southern aspect, allowing dappled light to illuminate the spaces until the evening. 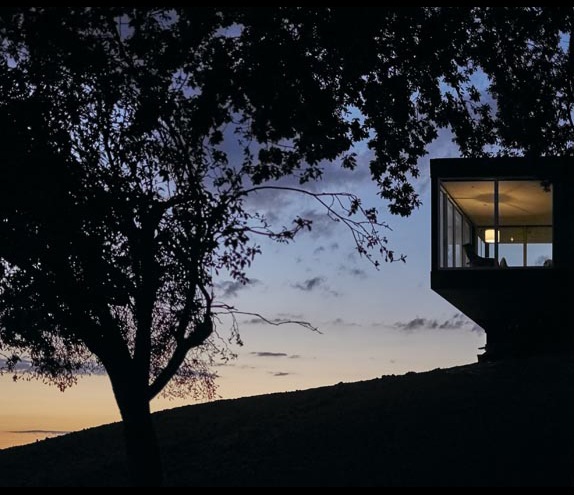 The external terrace, with its sunken hot tub and generous seating area, situated on the western elevation, looks across the valley and takes full advantage of the evening sun.